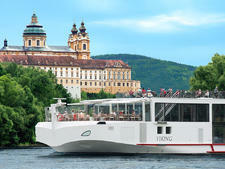 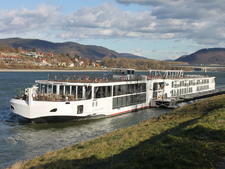 Viking Prestige, which debuted in 2011, was Viking River Cruises' last new-build before it introduced its revolutionary Longship series in 2012. 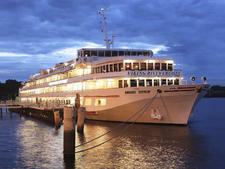 There's a lounge and dining room forward, a library aft, a sun deck above and cabins on three decks. 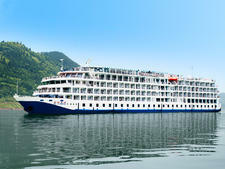 What makes this ship interesting, not to mention an extremely comfortable vessel in which to travel, is that the line has carefully updated and upgraded facilities, particularly with in-cabin features like flat-screen televisions and interactive channels, a superbly designed bathroom and a lounge that doubles as an alternative eatery. 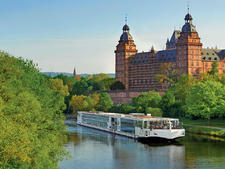 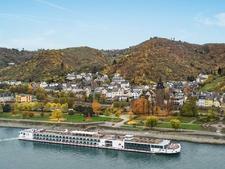 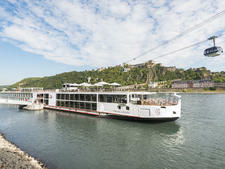 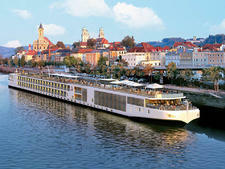 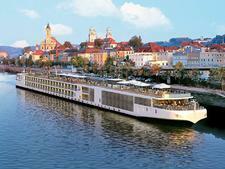 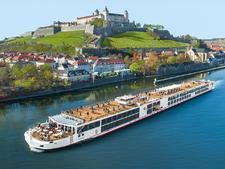 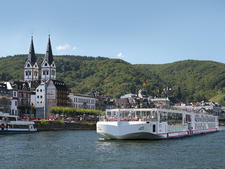 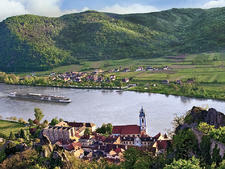 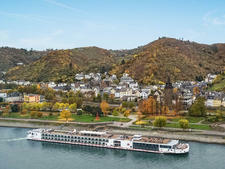 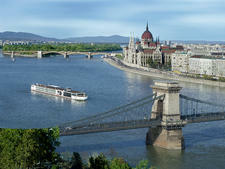 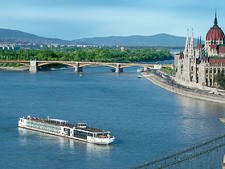 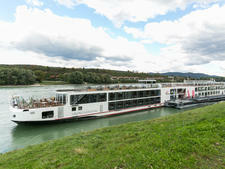 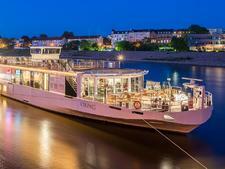 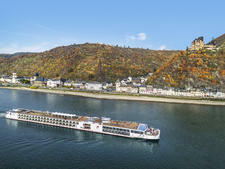 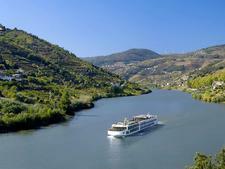 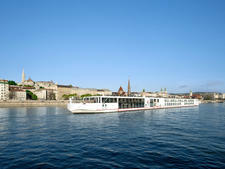 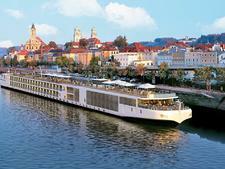 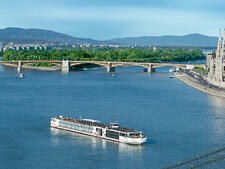 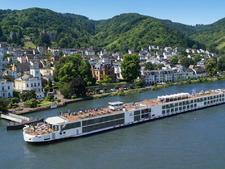 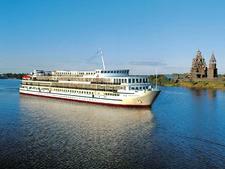 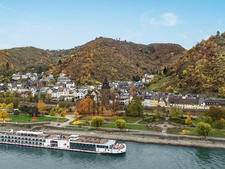 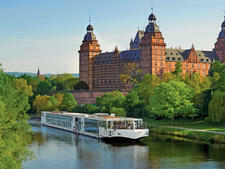 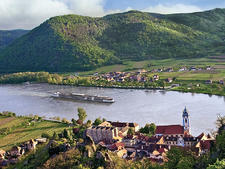 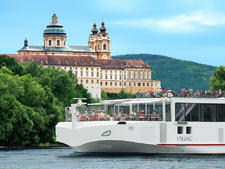 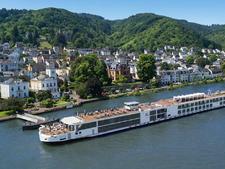 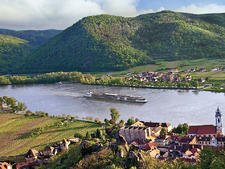 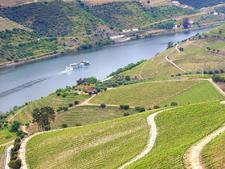 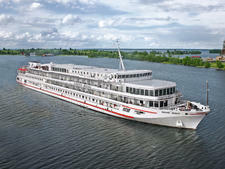 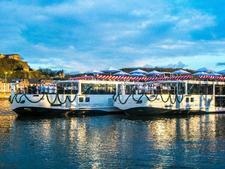 Beyond that, Viking River Cruises remains one of the more traditional river operators, both onboard and in port. Mealtimes, particularly dinner, are at a set time, and while passengers can choose their tablemates from night to night, there are few, if any, intimate-sized tables, so the atmosphere fosters -- if not forces -- sociability. Shore excursions, many of which are included in the cruise fare, are standard offerings; there's nothing unusual, such as a recreational-oriented experience, say, a cycling tour that visits local wineries, or thematic, such as wine and food tastings. 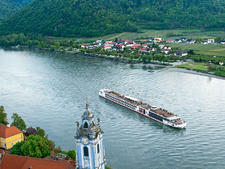 On the other hand, on our Viking Prestige Danube cruise, we were impressed by the staff's commitment to entertainment that enriched passengers about the areas we were traveling through, from a well-presented lecture on the European Union to fun fare like a wandering accordion player, complete with Bavarian costume. 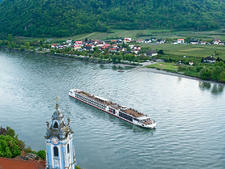 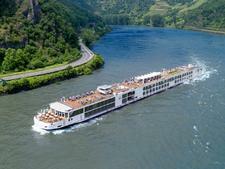 All in all, Viking may lack some of the more exciting bells and whistles being offered by other European river cruise operators, but it nevertheless offers a solid value-for-money cruise on Europe's rivers. 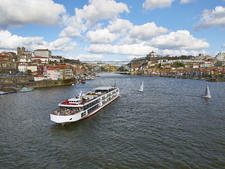 Viking attracts an older crowd; on our trip, 55-plus was the norm. 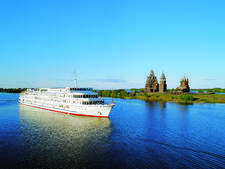 Passengers are generally well-traveled, though more are likely to have signed up with tour operators than explore independently. 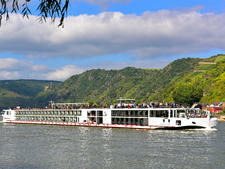 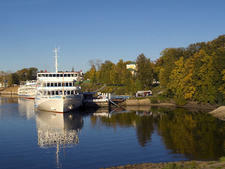 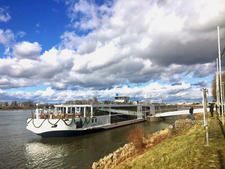 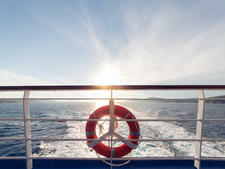 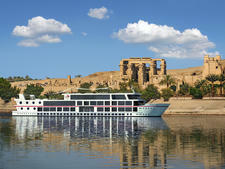 There's an increasing percentage of travelers who have been longtime coastal cruisers and are just discovering rivers. 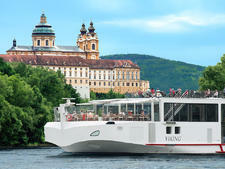 Viking passengers come mostly from the U.S., but the line also appeals to those from the U.K., Australia and New Zealand. 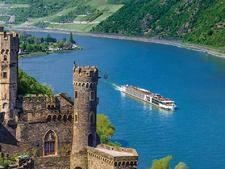 It's a social group; many we met were traveling with groups of pals. 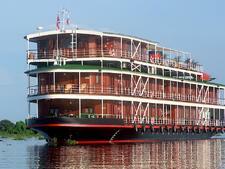 It's also a marvelous ship for solo travelers because, in addition to the solo-dedicated cabins, passengers were convivial and definitely adopted singles into their groups. 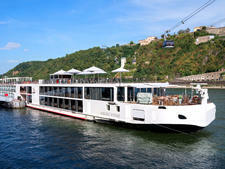 The dress code is casual, day and night. 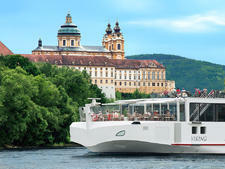 Passengers dress for comfort (slacks and Polos for men, slacks and blouses for women) during the day and don resort-casual attire at night. 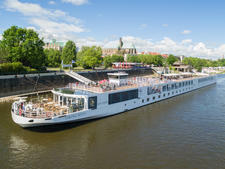 The only even remotely formal evening is the captain's gala dinner, but you'll fit in just fine in your nicest casual finery –-- no ties required. 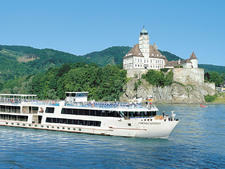 Tips are pooled among all onboard staff and crew, and the line recommends 12 euros per person, per day. 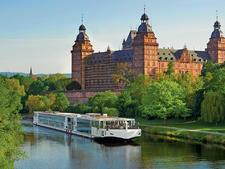 You can pay in cash or by credit card. 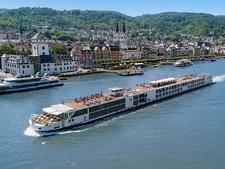 It's also suggested that you tip guides on shore excursions -- one or two euros is plenty, unless they went to extra effort for you.